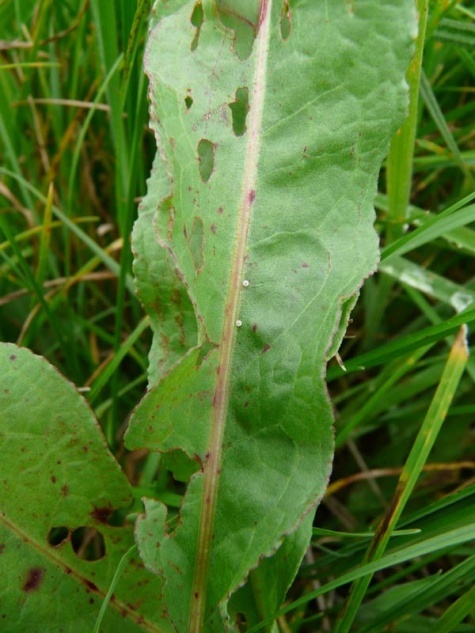 Eggs are laid on non-acidic Rumex species, especially Rumex crispus, R. hydrolapathum and R. obtusifolia. 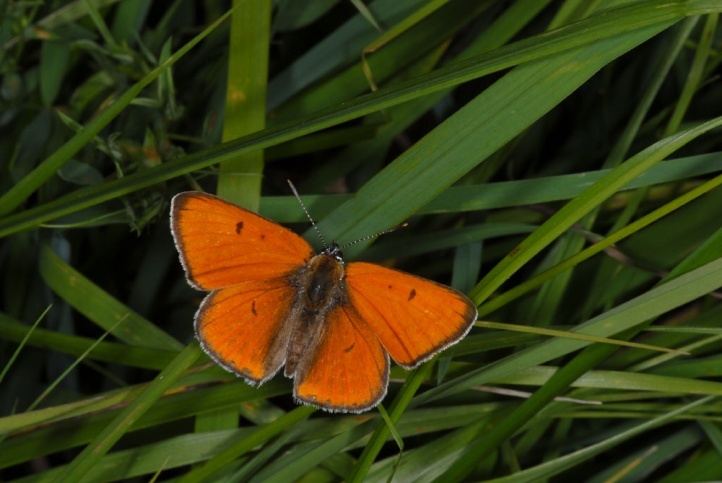 Originally, and still today in the Dutch ssp. 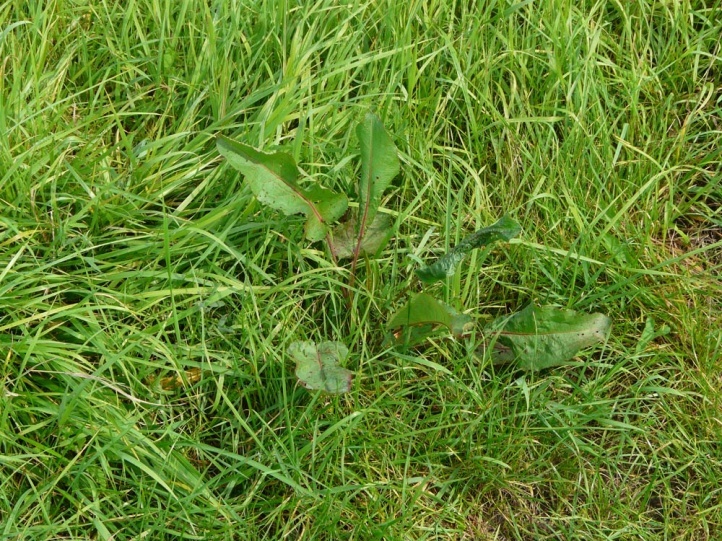 batavus Rumex hydrolapathum was most important. 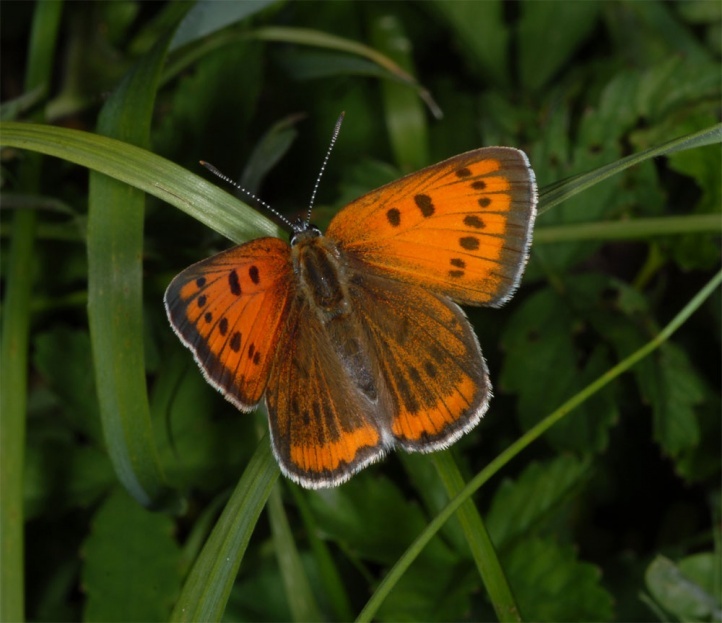 Lycaena dispar inhabits mostly diverse and extensive wetlands, yet extensive fat meadows, riparian zones, gravel pits, ruderal areas, embankments and ditches. 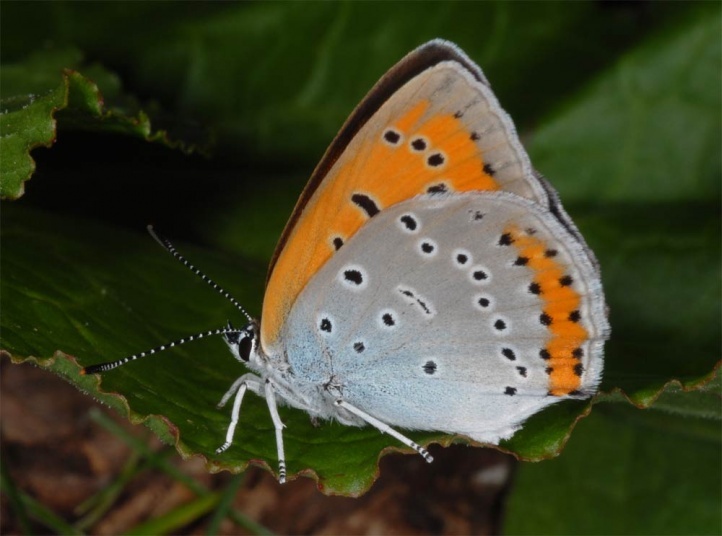 Especially (but not only) in the second generation the butterflies disperse heavily and lay eggs in multi-cut intensive agricultural fields in which they can not normally live permanently. 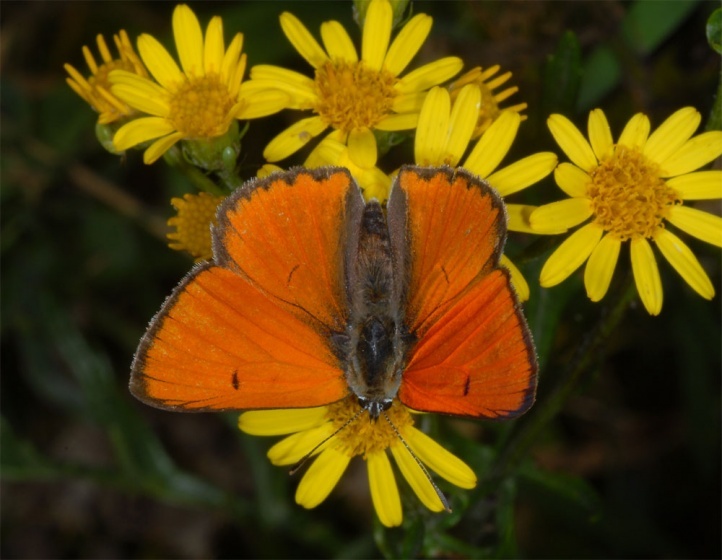 Lycaena dispar is very mobile and may colonize newly created habitats such as extensificated meadows quickly. 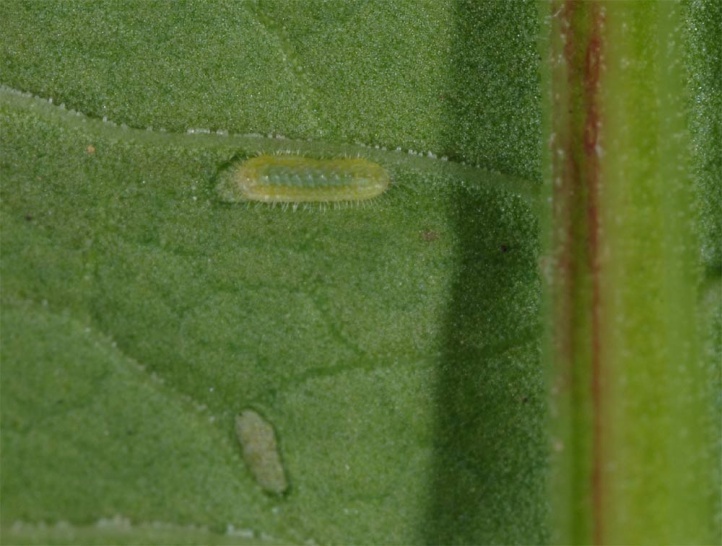 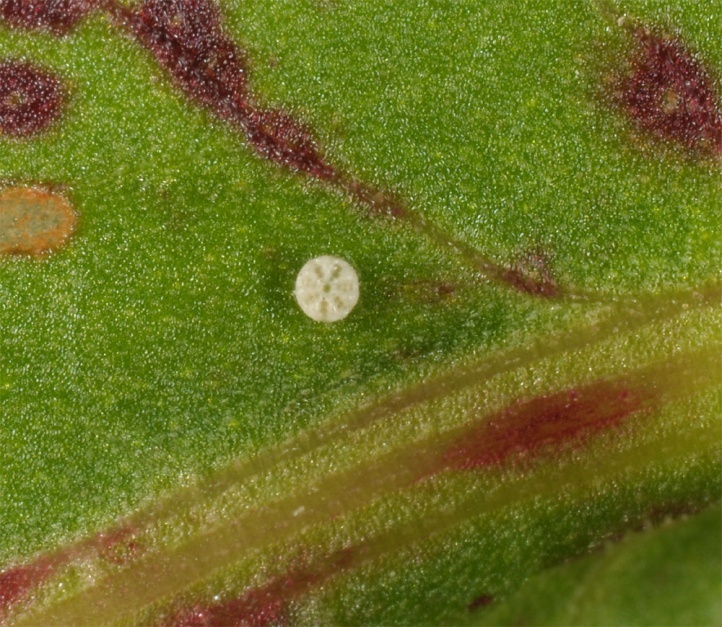 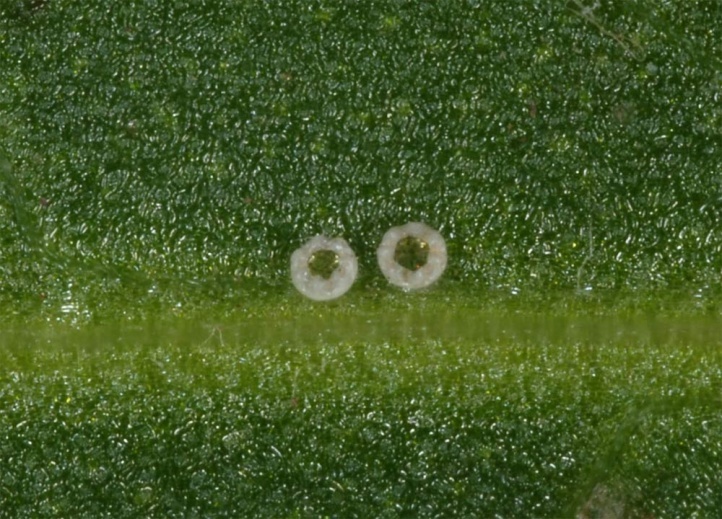 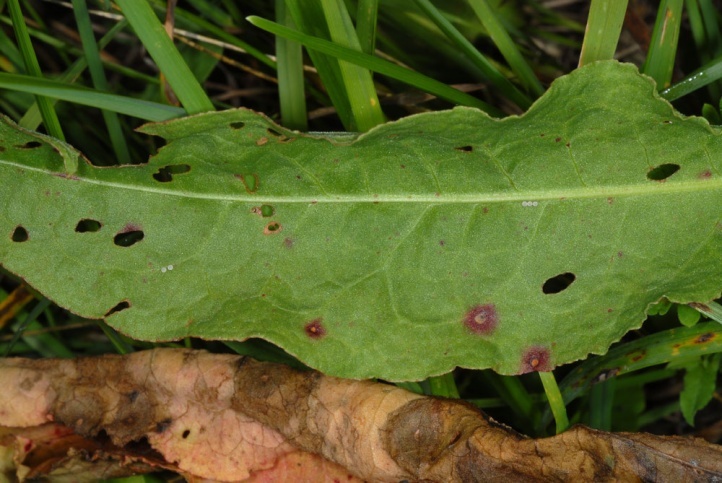 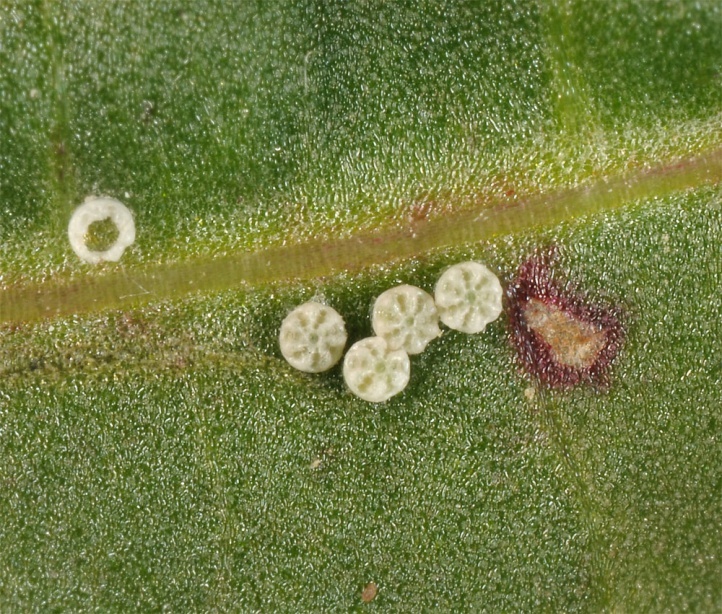 The eggs are laid usually in small groups of 1-4 (or rarely more) pieces on the upper leaf surface (usually near the midrib) from Rumex plants, which often extend beyond the remaining vegetation significantly (about a few weeks after mowing). 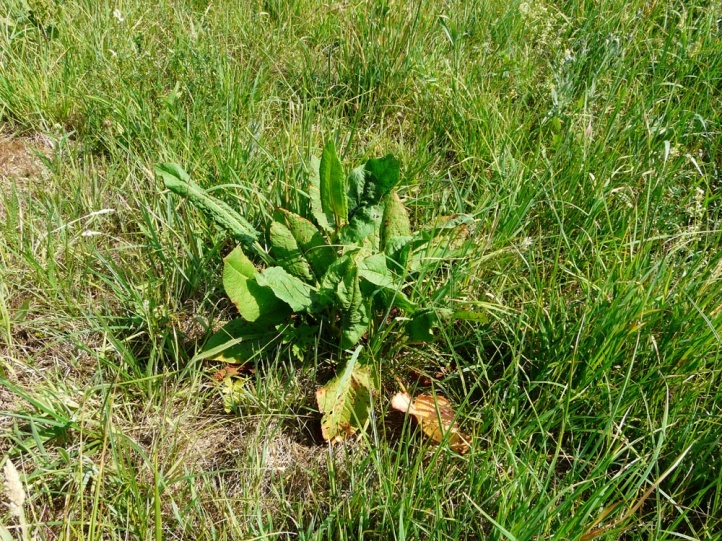 In June 2012, I observed oviposition also repeatedly on Rumex crispus plants growing on open soil in northeast Baden-Württemberg. 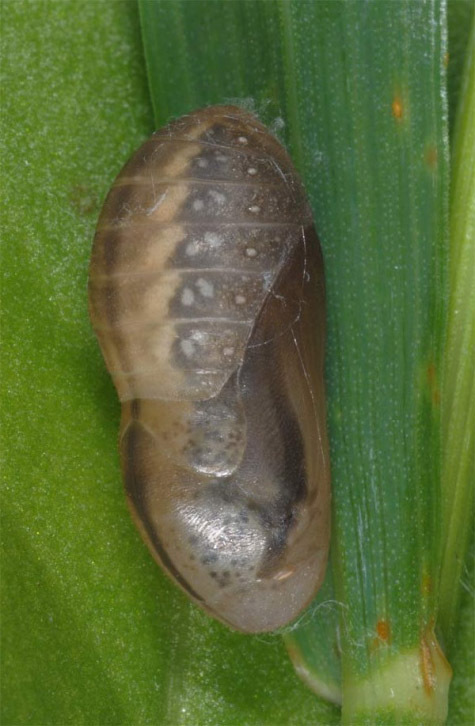 The female orientates first visually in the course of laying eggs, and often lands on other large leaves such as Plantago major. 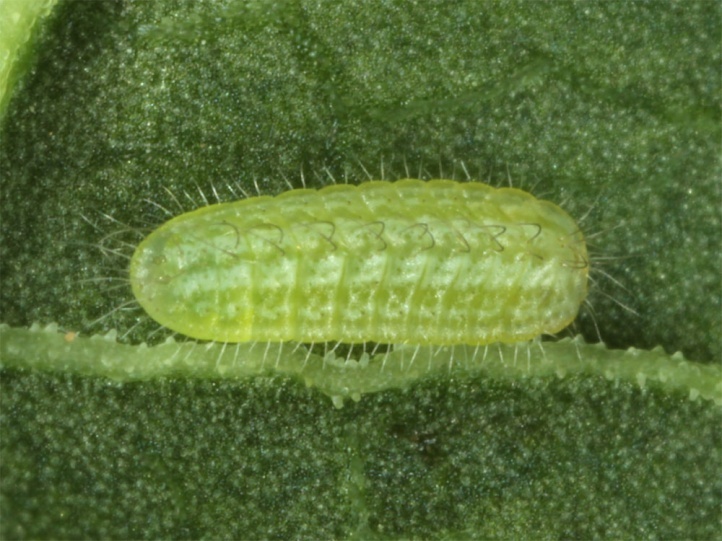 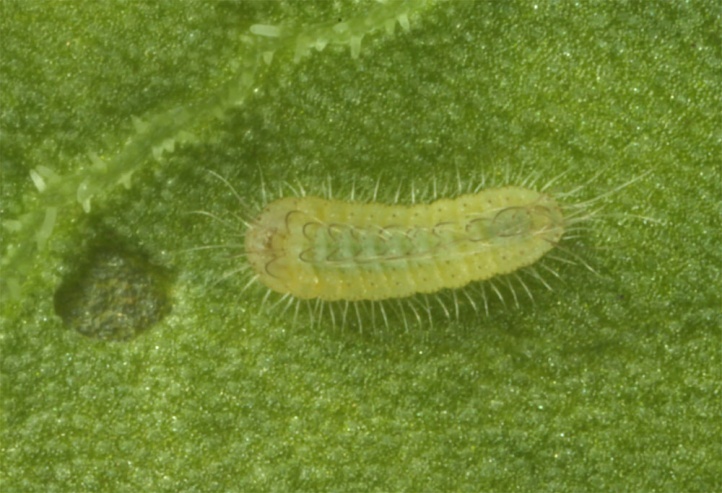 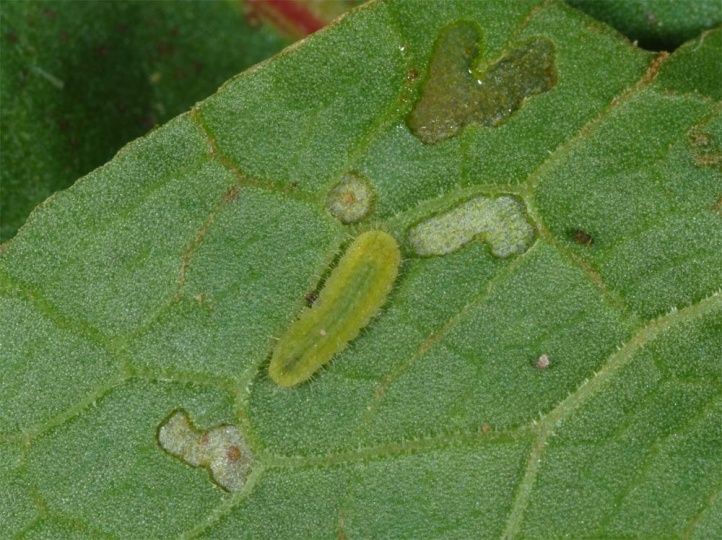 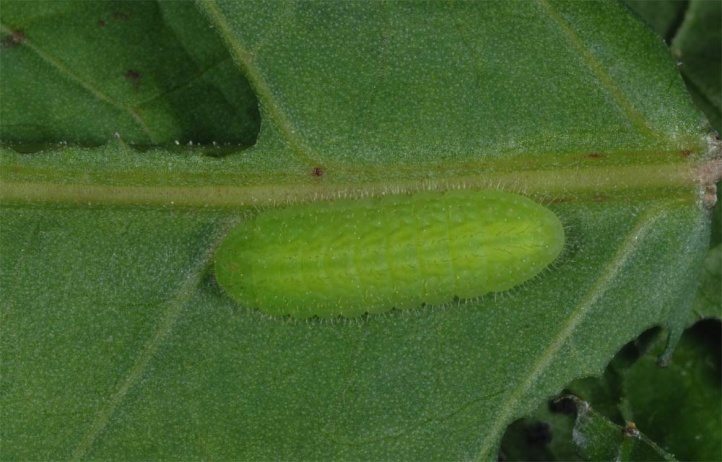 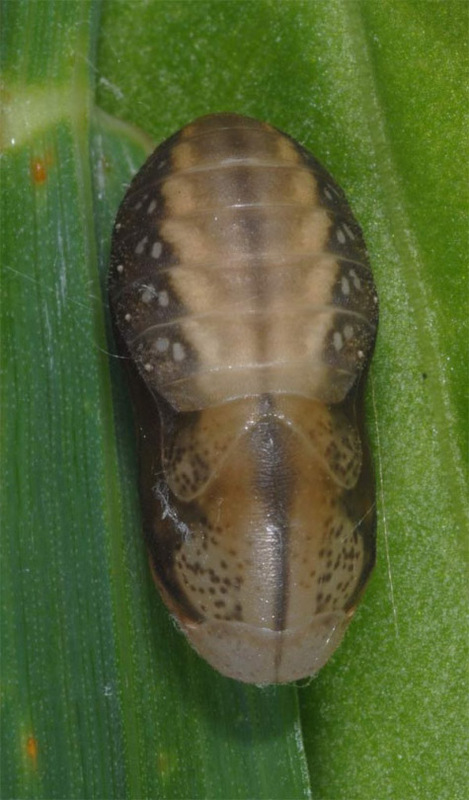 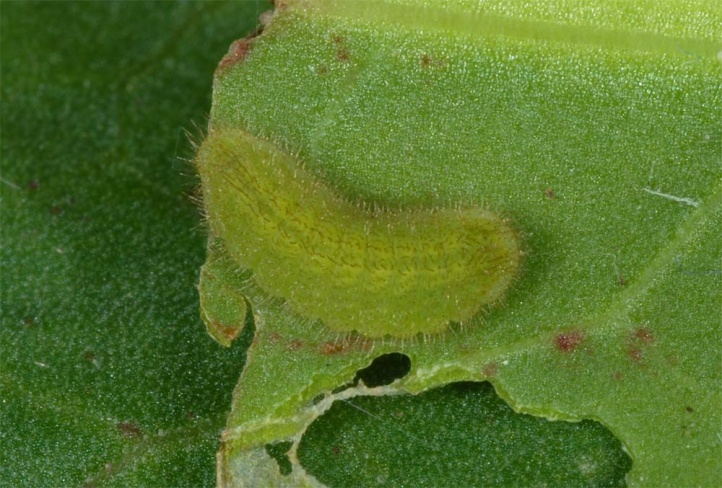 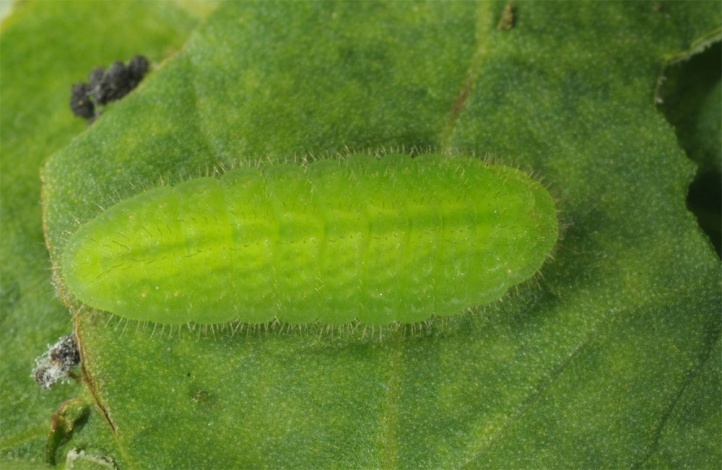 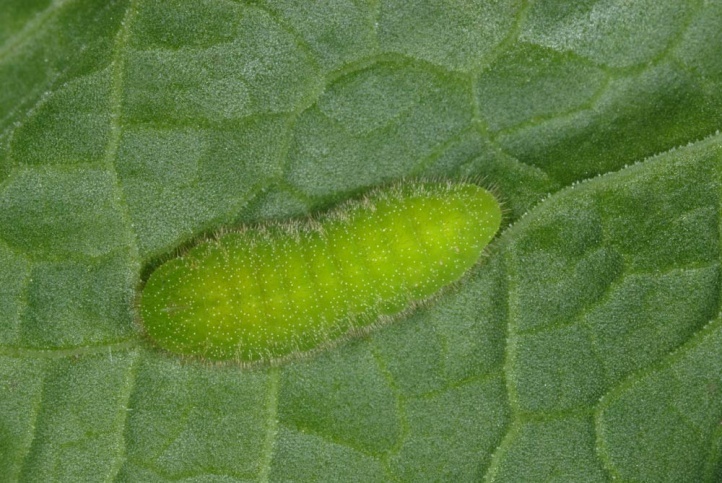 At oviposition, the female usually sits on the leaf surface with the head to the leaf margin. 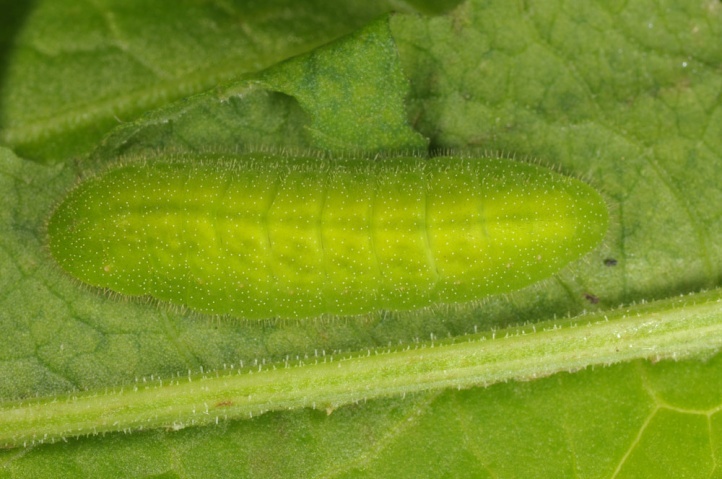 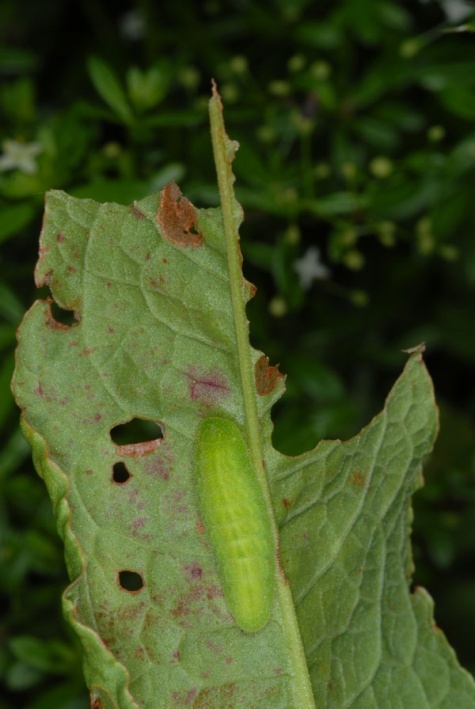 The caterpillars overwinter half-grown and become mature in late April or May. 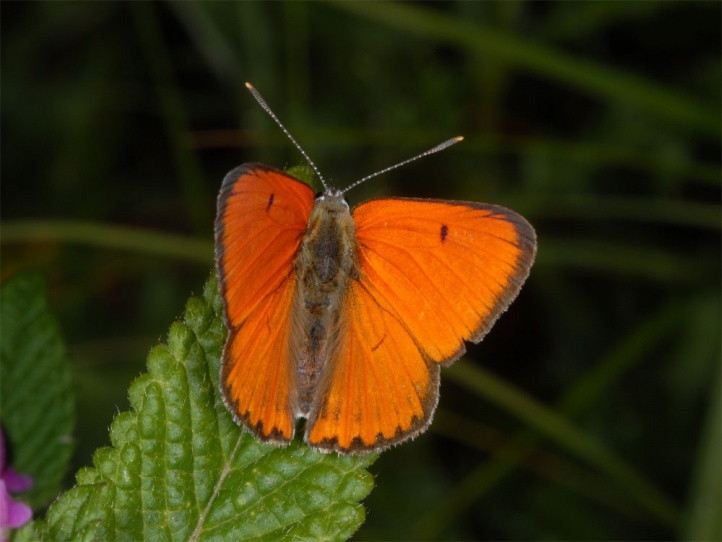 The adults fly from May to June/early July and usually (ssp. 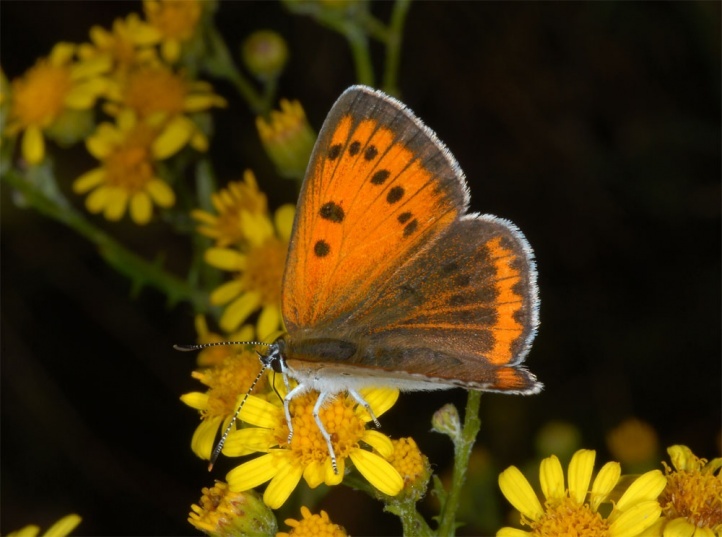 rutilus) in a second generation from mid-July to early September. 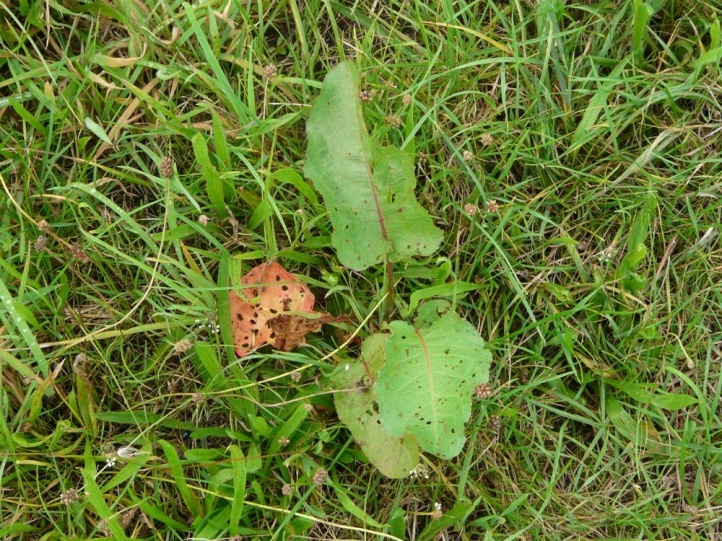 In the Northwest the ssp. 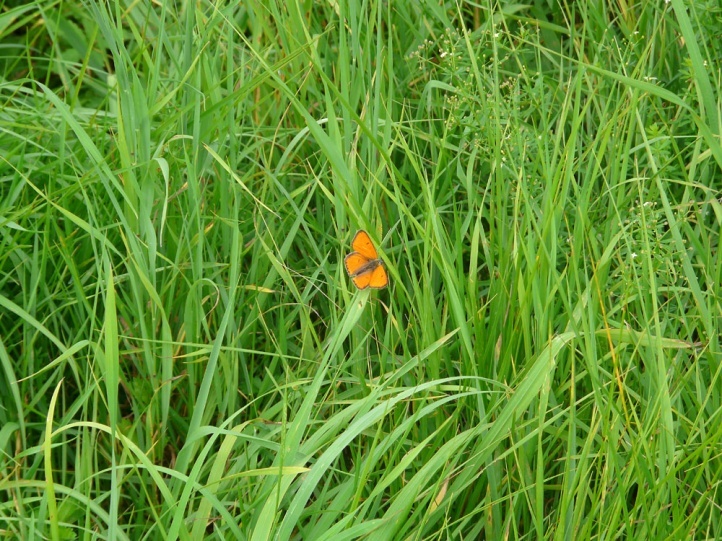 batavus in the Netherlands and introduced in England has only a single generation. 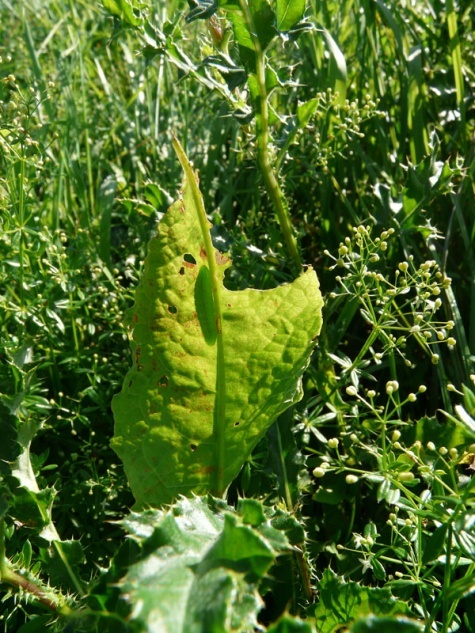 Less commonly, it may occur a partial third generation in hot summers in September/October. 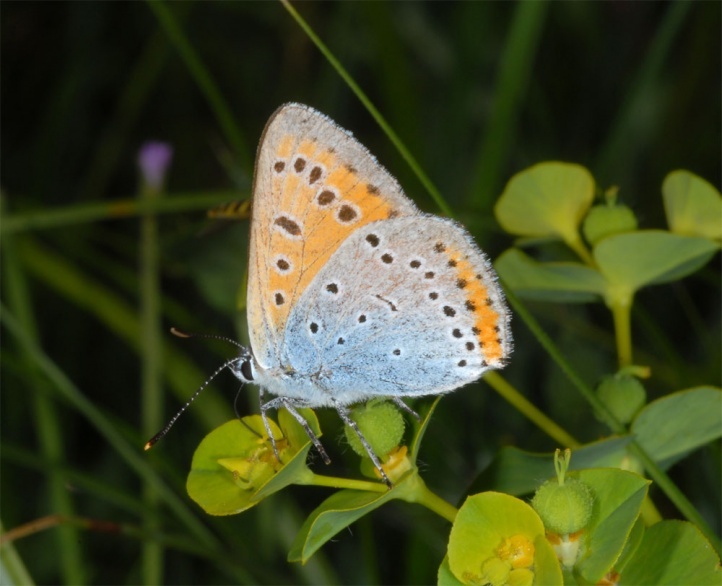 Lycaena dispar is usually found in low abundance, so that the males occupy different vegetation zones (such as higher growing Carex facies) for mating as is known from Apatura at strategic individual trees. 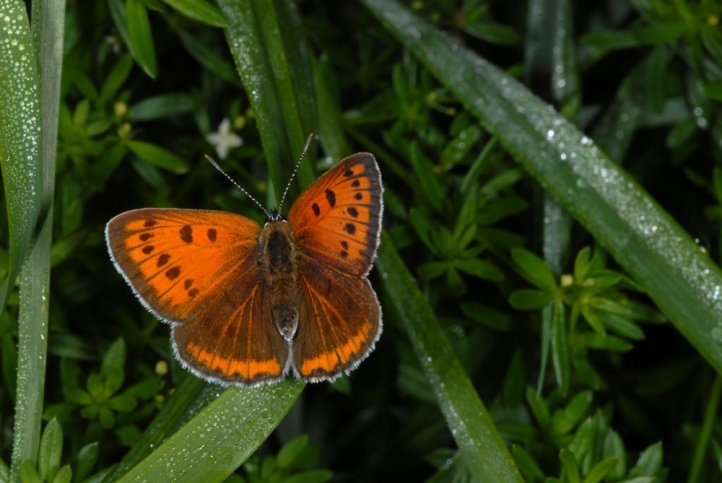 The butterflies often visit flowers. 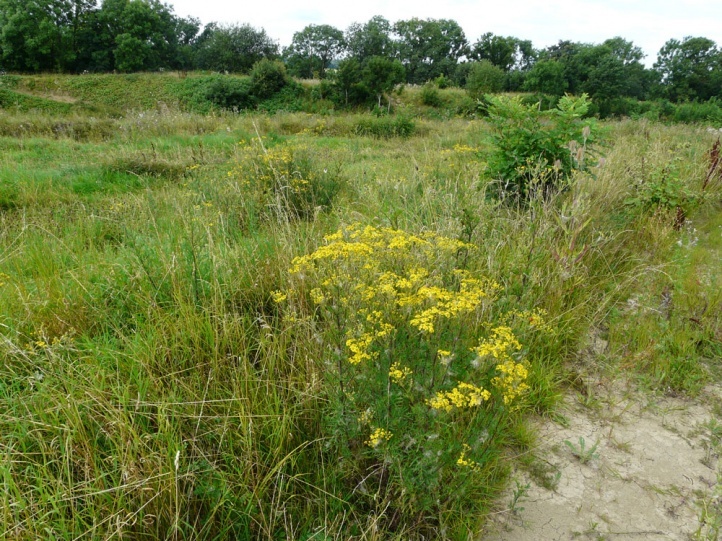 In a habitat in northeastern Württemberg in August 2012, almost all available flowers were used so especially Senecio erucifolius, Achillea millefolium, Cirsium arvense, Trifolium pratense, Lathyrus sp., Arctium sp. 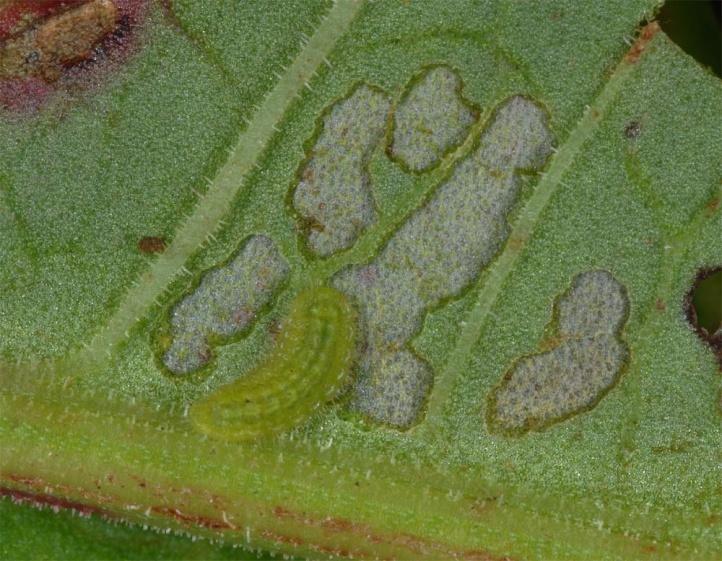 and even Euphorbia. 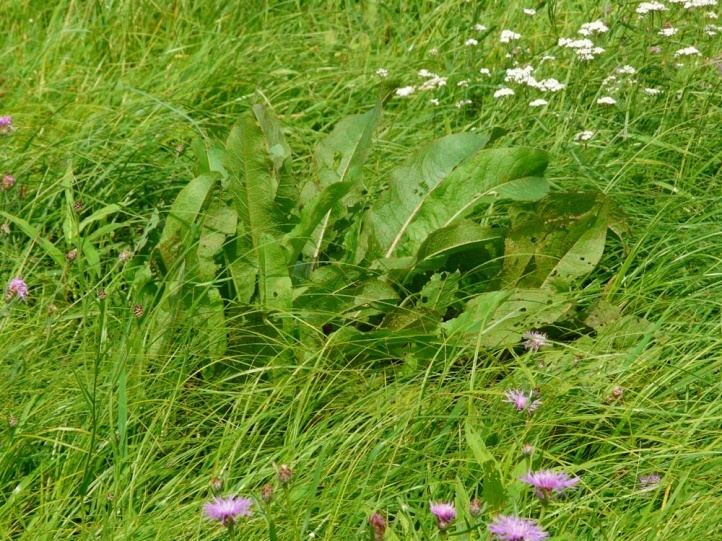 Other observations were made on Ranunculus, Lythrum, Taraxacum, Solidago, etc. 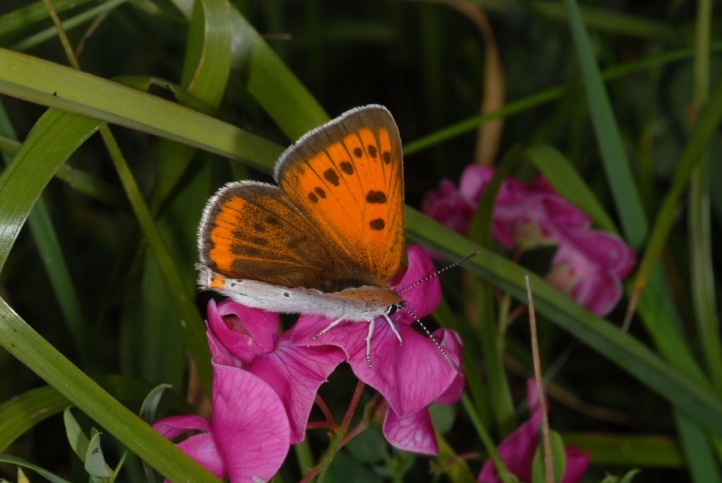 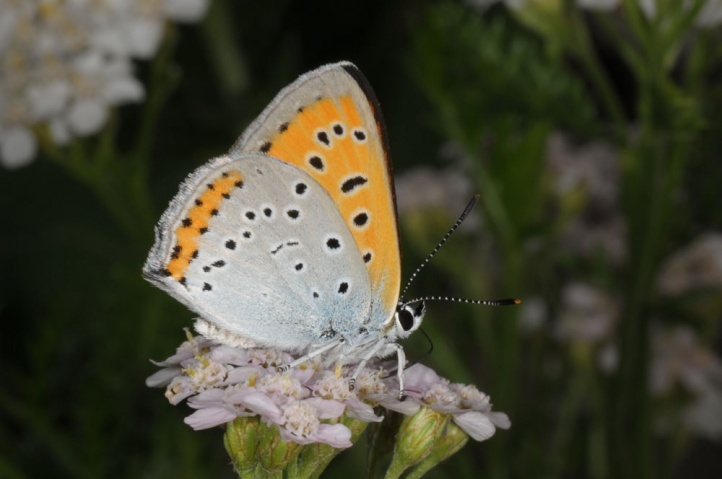 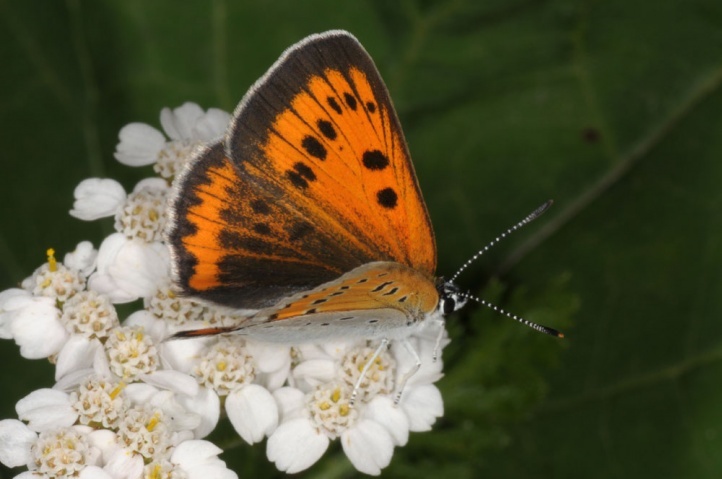 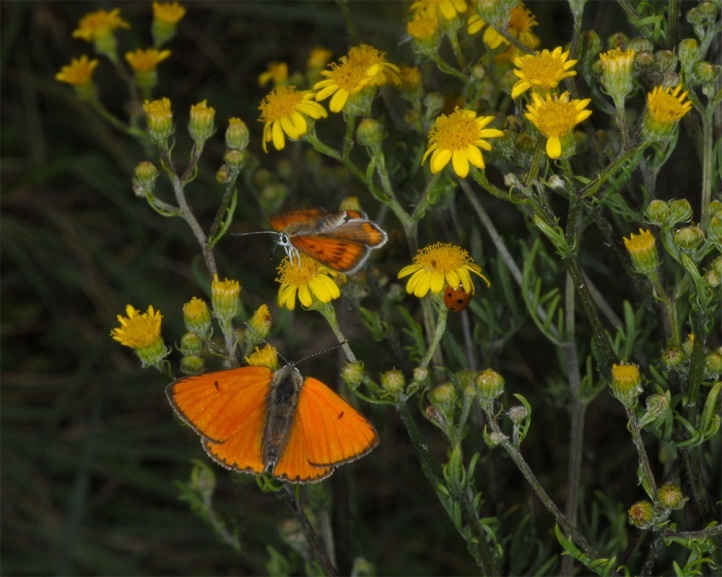 Due to the rapid decline of extensive wetlands, Lycaena dispar is highly threatened in many parts of the range. 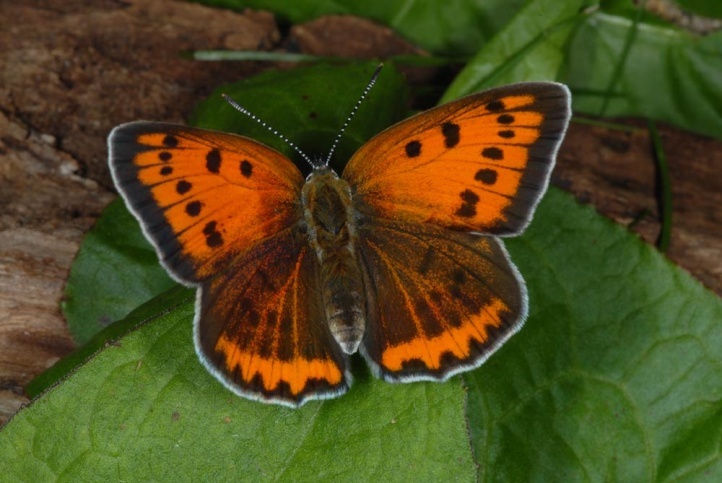 Global warming promotes the butterfly however. 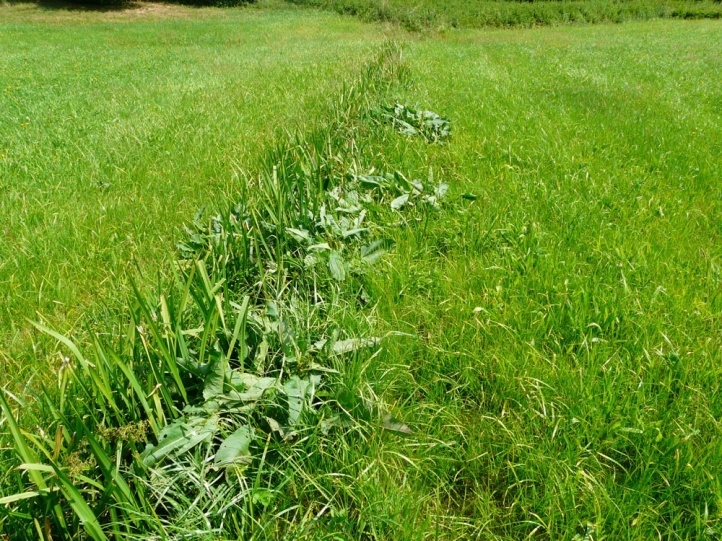 The strong spread in hot summers and the temporary extension should not mask the bad situation of suitable core habitat! 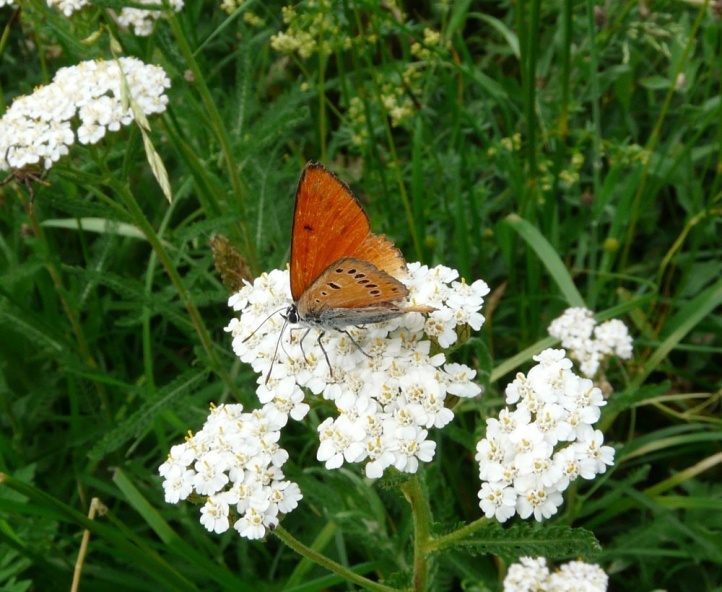 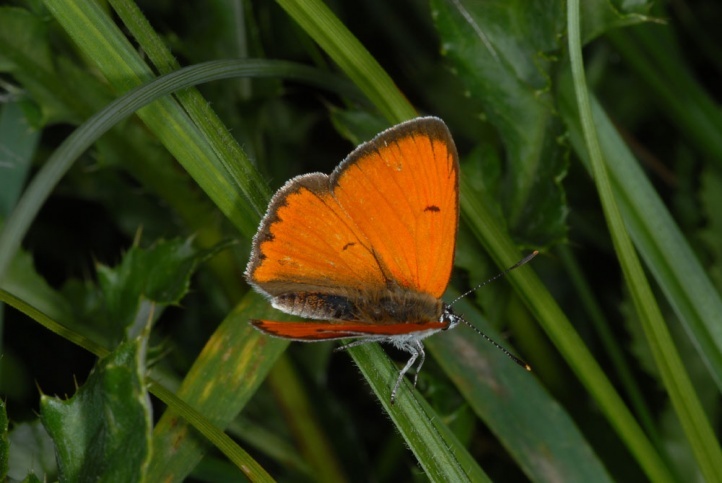 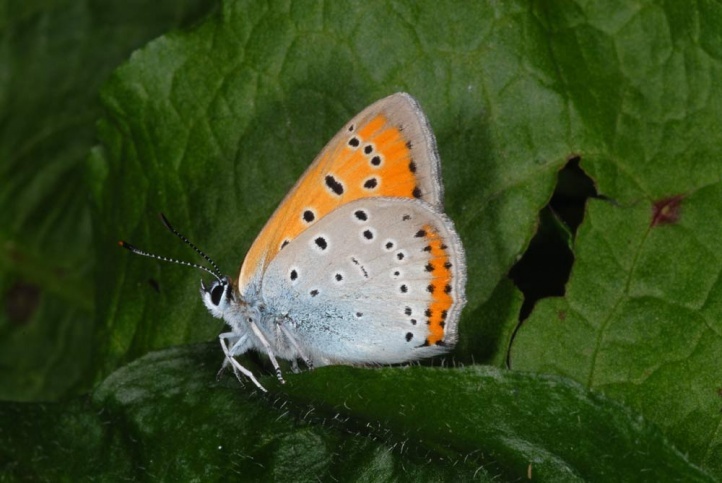 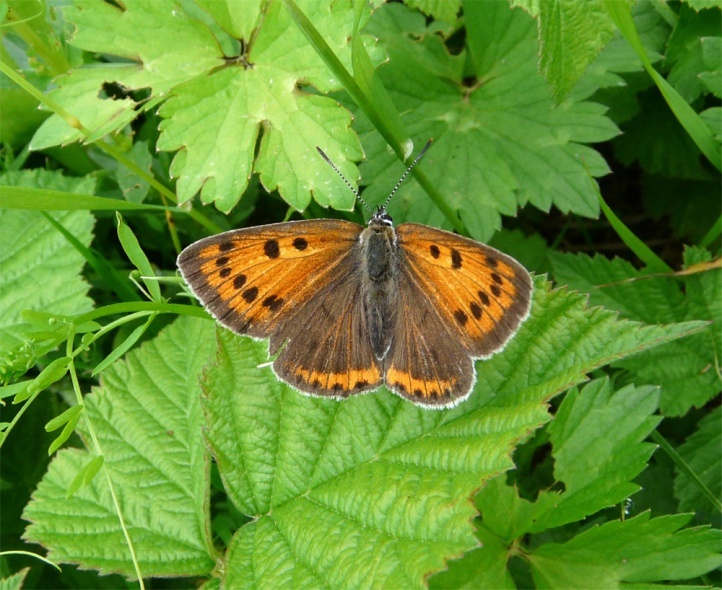 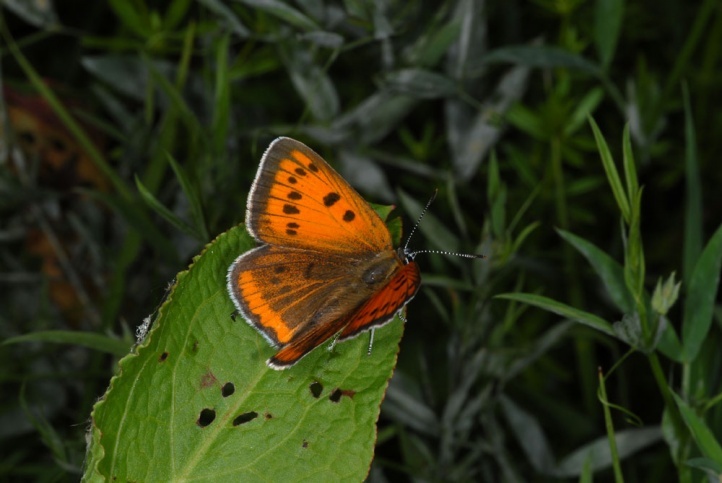 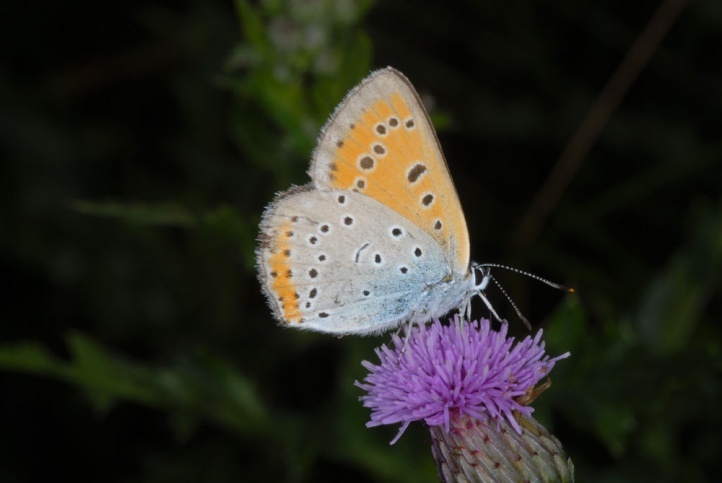 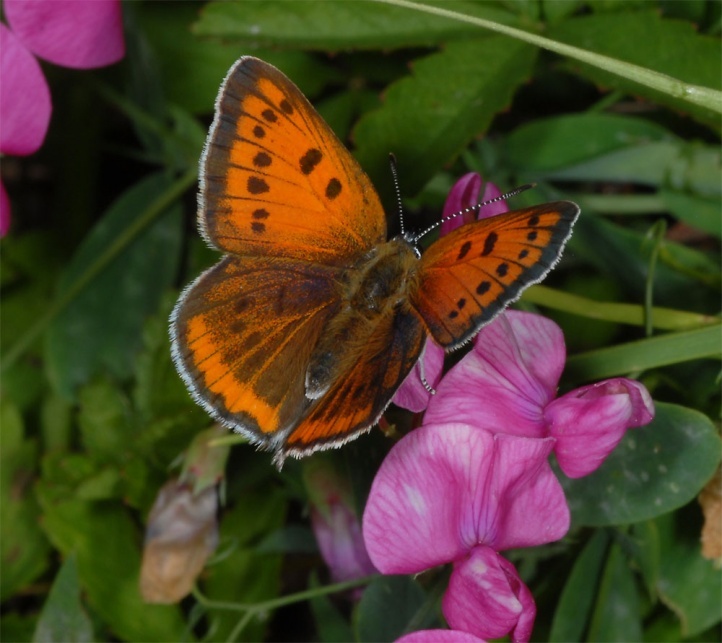 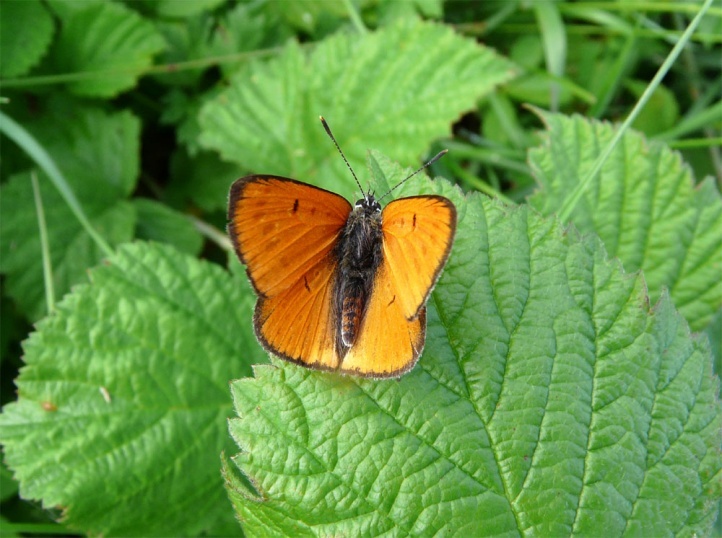 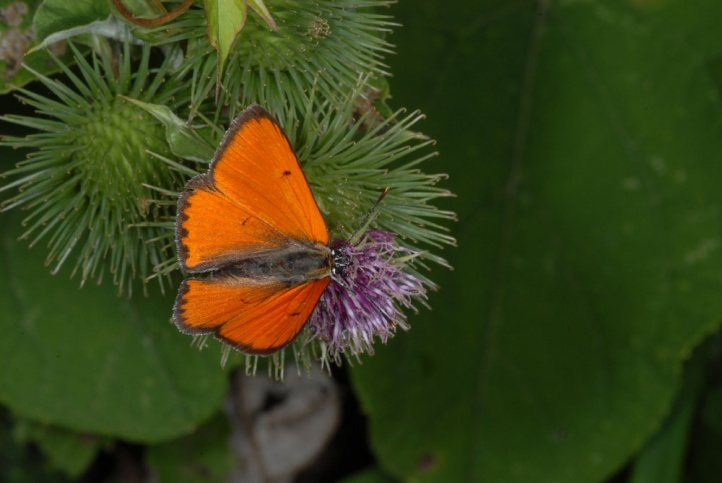 Currently, Lycaena dispar has spread in Central Europe from the Upper Rhine deep into the lowlands of eastern Baden-Württemberg (about the Jagsttal) and west Bavaria (analogous to Cupido argiades). 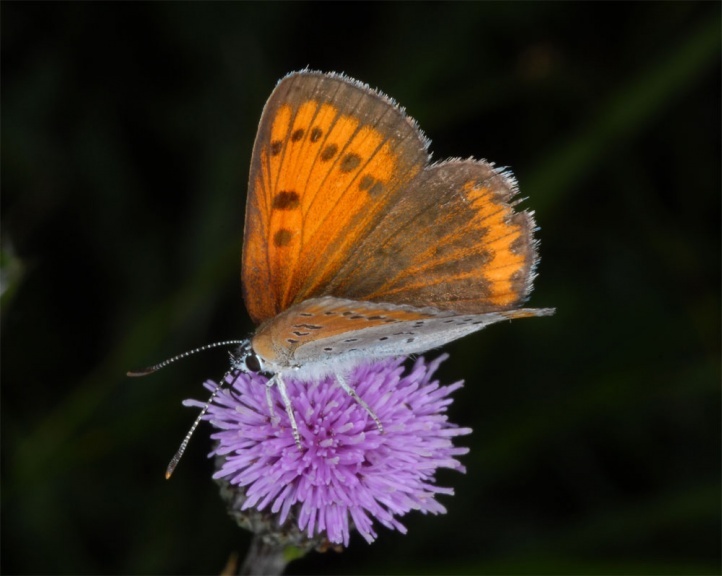 Unfortunately, these habitats are still further affected by intensive agriculture or land use for energy crops and solar farms. 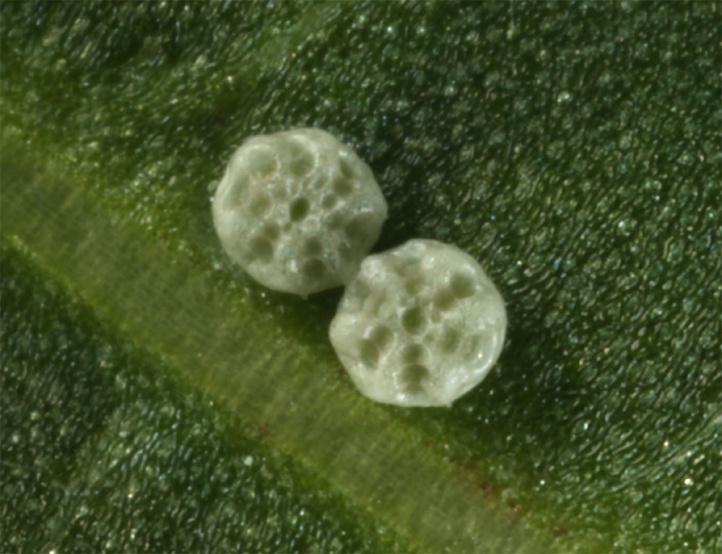 I know a good occurrence near Künzelsau in eastern Baden-Württemberg, where many adults and hundreds of eggs were observed in 2012 and where Cupido argiades occurs syntopically. 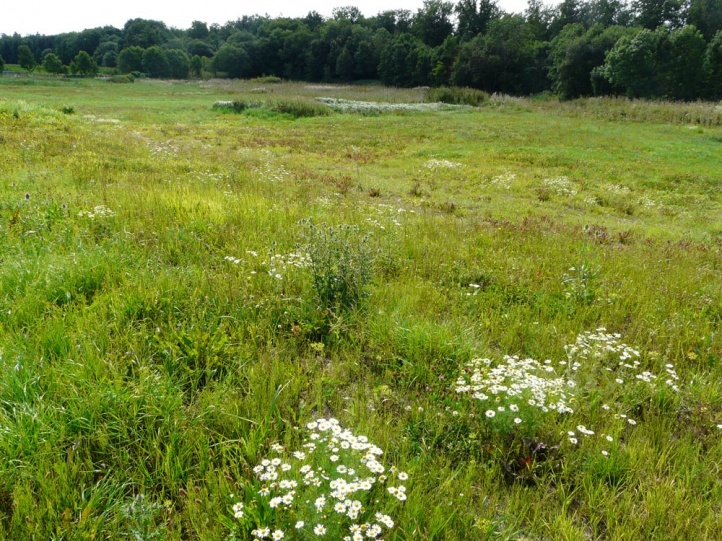 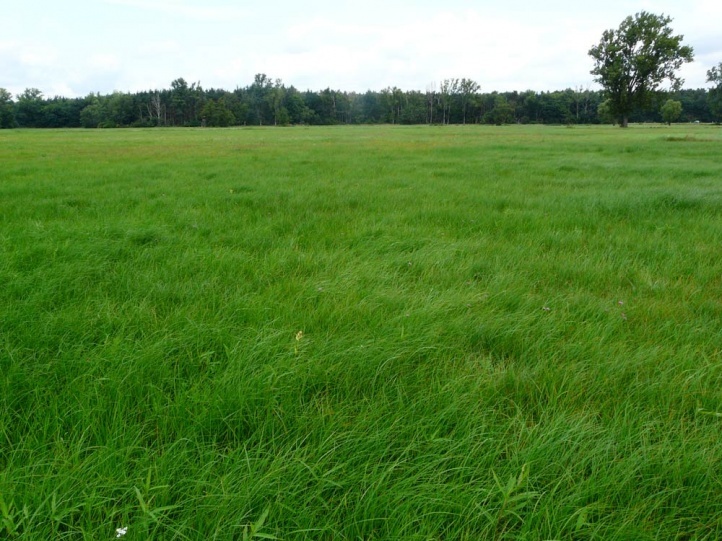 Here are plans to convert the area into a solar farm. 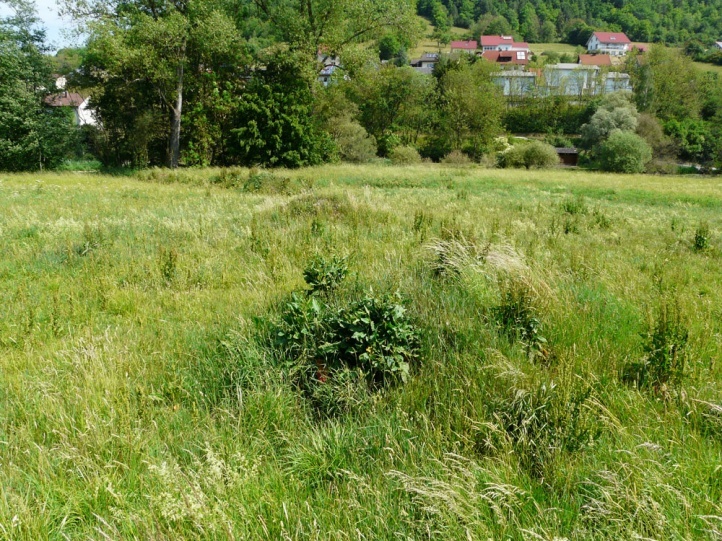 The so-called energy revolution (Germany) will take place all too often on the backs of the last natural areas! 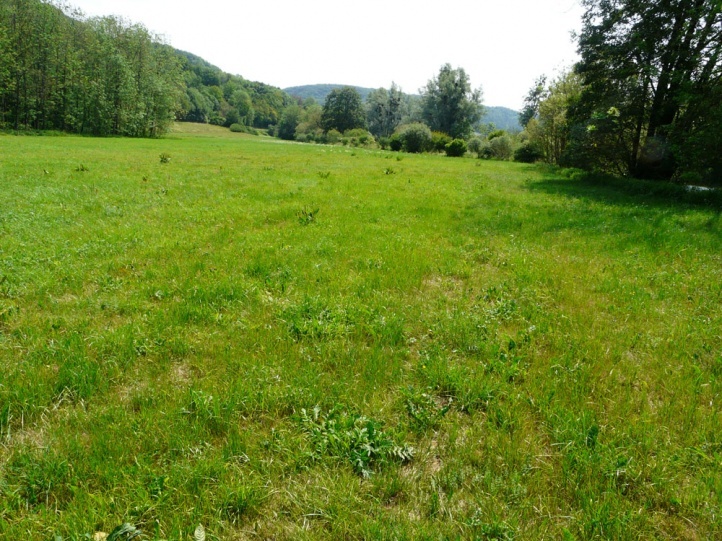 The total distribution ranges from France (very locally, especially in Alsace, rare in the southwest) through Central Europe (rare in disjunct areas in Northern Italy, the Netherlands and Germany, in England ssp. 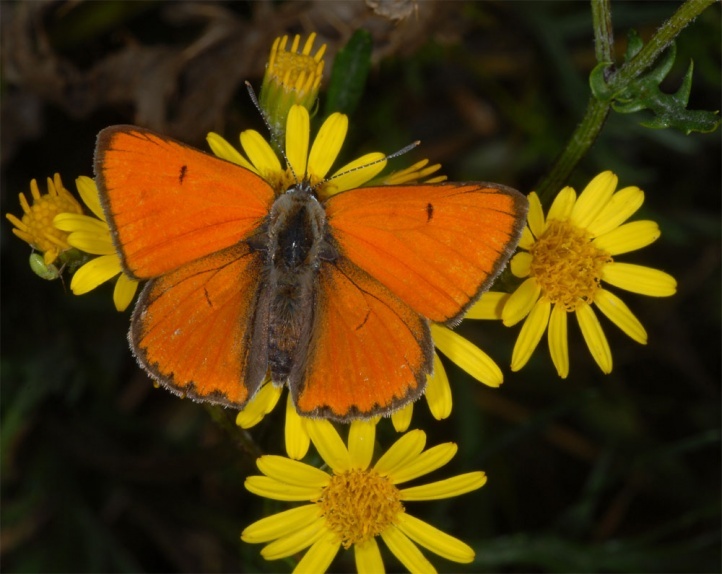 dispar originally extinct, but ssp. 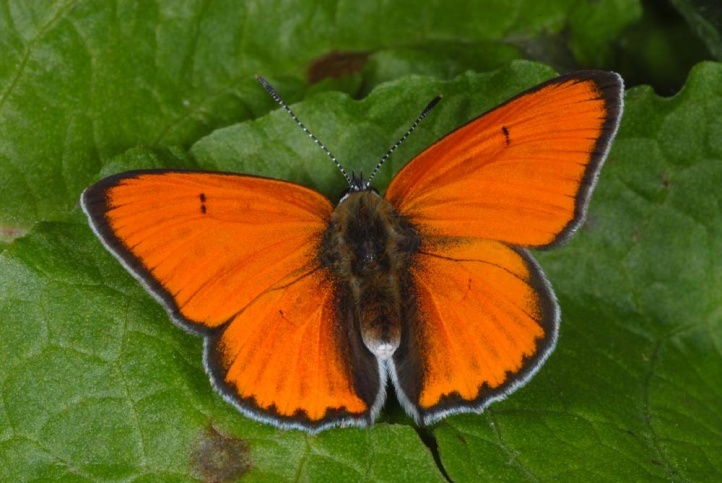 batavus introduced from the Netherlands) to the Baltic and across the northern Balkan Peninsula (south to the Greek Olympus, own observations in July 2011) to the Black Sea and parts of north-western Turkey.